Far be it from me to correct Patrick Chaplin, but I must. “Trust me – I’m a doctor,” he writes in the introduction to his newest book, 180! Fascinating Darts Facts. 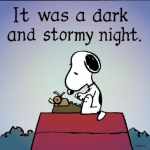 I’ve read the book twice, circled passages, underlined words, folded pages and even pulled out a calculator and, sadly, have reached the inescapable conclusion that the good Doctor can’t count. First, when you purchase 180! – and you damn well should – you’re going to be treated not to just 180 but more like 1,000 fascinating darts facts. Second – and this is the part that’s good for me – knowing that Chaplin can’t count means I have a chance when we face each other at the line. Looking at 32 I can see Chaplin now – releasing his dart ever so smoothly and sticking the double 15. At this rate I should have several opportunities to work my score down from the 320 points I have remaining. 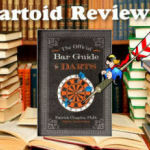 Historian that he is, Chaplin traces the origins of darts from the fairgrounds, inns and alehouses of yesteryear to the fancy stages and television screens of today… from the media-described “walking beer barrels, human ashtrays and brainless 15-stone bags of burping wind” who paved the way to the oche… to the characters and legends like Bristow, Lowe and Wilson who set the line on fire… to the absolute brilliance of Phil Taylor today. 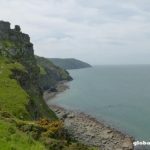 Have you ever wondered why straight in-double out 501, not 500, is the standard competitive game? Ever wondered why the height of a board is 5’8″? Ever wondered who scored the first 180 or hit the first perfect game? Who was the first player to endorse a darts-related product? 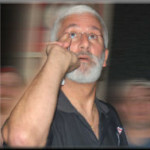 What does John Lowe consider the secret to throwing a perfect game? Have you heard the first-ever darts joke? Can you pronounce Anastasia Dobromyslova’s name and do you know if her brother is one of the professionals on Dancing with the Stars? Any idea who were the first walk-on girls and to which famous darts promoter they were related? What do Ted Hankey, Shaun Greatbatch and a hairdresser from Oxford named Emma Hughes have in common? Have you contemplated what are Mieke de Boer’s measurements, which darts player French-kissed Prince Harry, or why an errant dart that hits the chalker in the arse is called a “‘Toid”? The answers to many of these questions – and hundreds more – are in the book. 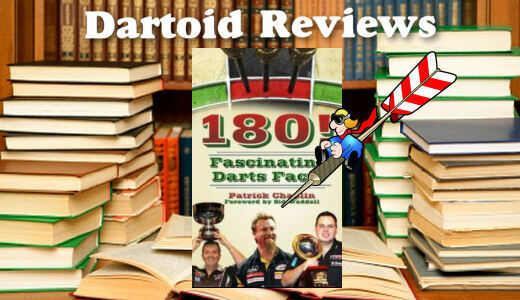 Patrick Chaplin is hands-down the most prolific writer to chronicle goings-on in the world of darts. 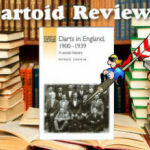 He’s authored The Official Bar Guide to Darts and Darts in England 1900-1939. 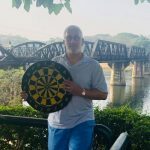 He’s collaborated with John Lowe on Old Stoneface – The Autobiography of Britain’s Greatest Darts Player and The Art of Darts, Trina Gulliver on Golden Girl – The Autobiography of the Greatest Ever Ladies’ Darts Player and Bobby George on Scoring for Show – Doubles for Dough. His monthly online Dr. Darts’ Newsletter is a must read (as is his website at www.patrickchaplin.com) and can be subscribed to via email at info@patrickchaplin.com. Like all of Chaplin’s offerings and at roughly £5 ($412 American) 180! 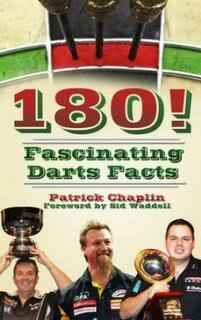 Fascinating Darts Facts is worth every bit of the purchase price. Order your copy today via the publishers at History Press or through Amazon.